If you are downloading with Safari web browser, the DMG file is in your Downloads folder. Locate the "OpenVPN_nnnn.dmg" file and open it. 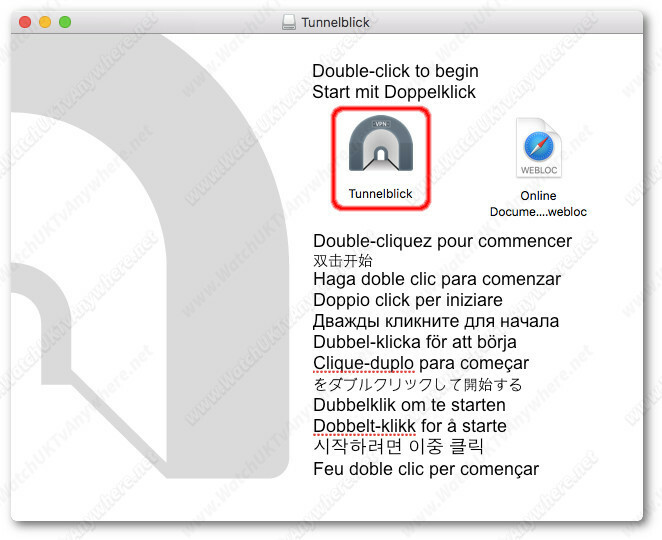 A new window will come out - click on Tunnelblick to install or upgrade Tunnelblick. Click Open when asked to. Which means there already is 'Deployed' version of Tunnelblick installed on your Mac. 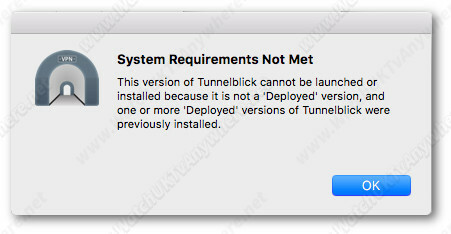 Please run the Tunnelblick_Uninstaller first - otherwise Tunneblick cannot be installed or upgraded. While installing Tunnelblick, you need to enter your admin user's credentials from time to time. The first time the admin credentials are needed to change the ownership and permissions of the Tunnelblick executables. Enter your admin credentials and click OK.
Click Do not check for a change. Click I have configuration files. Back to "OpenVPN_nnnn.dmg" window - open VPN_Account.tblk by double-clicking it. 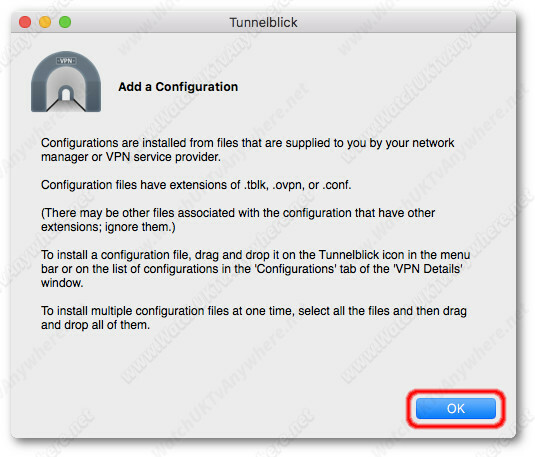 Enter you password and click OK.
Find the Tunnelblick icon in your Mac Menu and click on it to reveal the Tunnelblick VPN Connections list. The first option will connect to randomly selected UK VPN server. 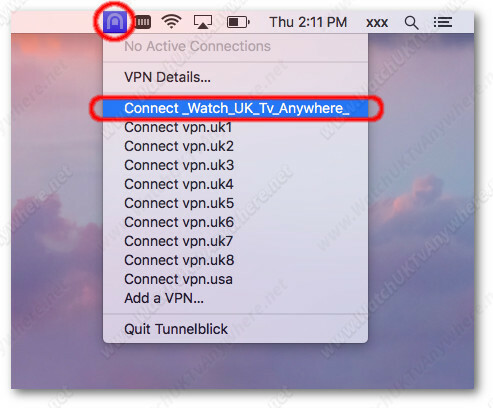 If you prefer to connect to specific VPN server instead - coose one of the "Connect vpn.uk*" options. A status window will appear showing the connection progress. In few seconds it will turn from yellow to green. Congratulations! - you are now connected. If you wish to disconnect from the service all you need to do is click on the Tunnelblick icon and select Disconnect from the drop down menu. The connection status window colour will turn to red confirming VPN is disconnected.